Limited edition poster from the June 17 event at Radio City Music Hall in New York, NY. Part of the Amos Lee & David Gray 2015 Summer Tour. Limited quantities remain from tour. 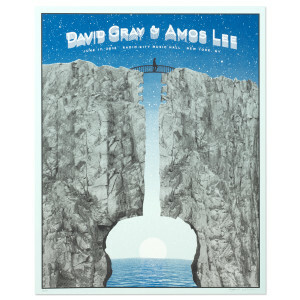 Signed posters are signed by Amos Lee and David Gray.